These torpedo style cigars are sure to turn heads. They also taste good and give a full smoke. 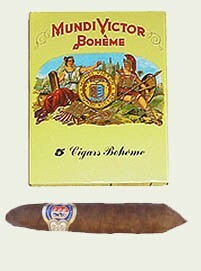 Mundi Victor Boheme is exported all over Europe, give them a try and find out why.